Louis Braille was born in a small town in France in 1809, where his father was a leather smith. One day when Louis was three he was playing with one of his father’s sharp leather-working tools called an awl which slipped poking him in the eye. Doctors did not know how to treat his injury and an infection set in which spread to his other eye, leaving him completely blind. Louis’s father recognized his blind son to be a bright child and managed to get him into the only school for the blind in all of France. At that time, it was the belief of nearly everyone that people who were blind couldn’t do anything and couldn’t learn anything so there was no reason to try and educate them. One day, when Louis was 12, an officer of Napoleon’s army came by the school to demonstrate “night writing” being developed so that artillerymen could communicate at night. The plan was far too complicated for anyone to learn so it never worked, but Louis recognized that by using a system of raised dots on paper he could use his fingertips to “see” the letters. He worked for three years to perfect an efficient system that allowed his fingers to rapidly move across the page just a sighted person’s eyes do. 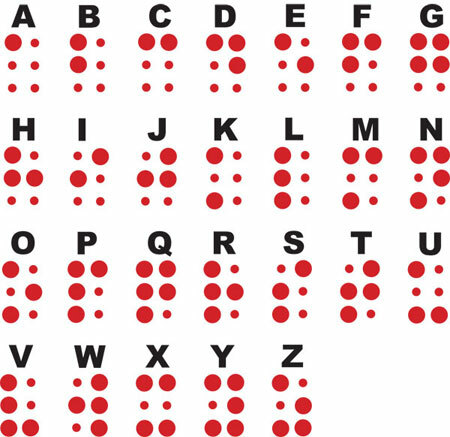 Louis went on to develop a writing box allowing anyone, including a blind person, to make the dots in the orderly way necessary for them to be read by others. Ironically, the instrument he used for this writing was a blunt awl, the very same kind of tool that blinded him as a child. The system, which bears his name, Braille, has been adapted to be used in all languages and is universally accepted around the world. The system was also adapted to musical notes, another universal language. Instead of being handicapped by the nasty poke in his eye, Louis managed to overcome both his inability to see as well as society’s belief that the blind couldn’t learn. His invention has changed the world for millions of sightless people.